The Jenbacher Type 6 installations represent the future of power generation and thermal recovery in the 1800 to 4400 kW range. 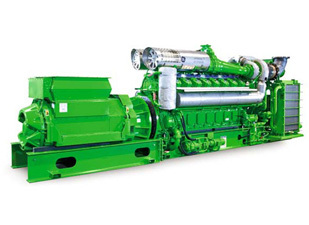 Featuring a 1,500 rpm engine speed that results in high power density, the Jenbacher Type 6 generates electricity at up to 46.6% efficiency, the top in its class. When installed as part of a cogeneration system, it continues to achieve new milestones of efficiency. The Jenbacher Type 6 is celebrated for its advanced design ingenuity. Among its many distinguished technical features is its four-valve cylinder head with a centrally located pre-combustion chamber, which minimizes charge-exchange losses for optimal ignition conditions and efficient, stable combustion at the lowest NOx emission values. Flexible arrangement of the heat exchangers provides maximum thermal efficiency, while the electronically controlled gas dosing valve provides a high degree of air/gas mix accuracy. 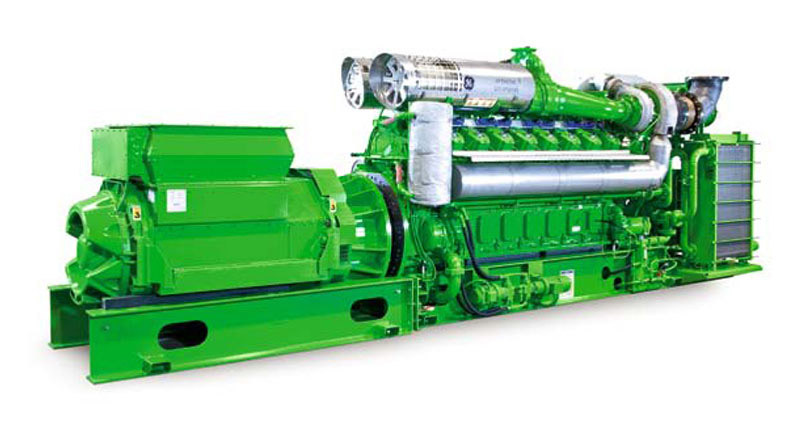 Offered in four models, the newest 24-cylinder version (J624 GS) features 2-stage turbocharging technology where fuel gas and combustion air are mixed at low pressure, then homogenized in the turbocharger to provide the best performance in terms of output and efficiency within a wide range of ambient conditions. Jenbacher's unique capability to burn a variety of renewable gases and fuel blend makes it a favorite of environmentally concerned organizations. By making use of waste from one process in the production of the other, you will be rewarded with substantial gains in energy efficiency and improved environmental stewardship. Our projects are cost-effective, efficient, and reliably executed. Contact us today; we welcome an opportunity to open a discussion with you on this green power generation technology.